Recently, Turkey experienced a rush of refugees from Syria, and 98% of its registered refugees are in fact Syrian. Refugees are people who are forced to leave their home countries due to unsafe conditions. Refugees are people who leave their homeland due to a valid fear for their personal safety in their native place. Many factors influence the decision to seek refuge in a foreign country. Some refugees are afraid of persecution based on their religion, political affiliation, race, or nationality. Others are fleeing war, internal conflict, increased violence, and human rights violations. Every year, millions of individuals leave their homes behind and turn to other countries for survival. But where do refugees come from and where do they go? Below is a look at which countries produced the greatest number of refugees and where the destination countries of the refugees during the first six months of 2015. Large regions of the world are currently experiencing violent conflicts which puts the lives of their residents at great risk. This fact is especially true throughout the Middle East and sub-Saharan Africa where fighting has been ongoing for many years. Estimates suggest that at least 60 million people were displaced in 2015 alone, this is up from about 10 million in 2011. 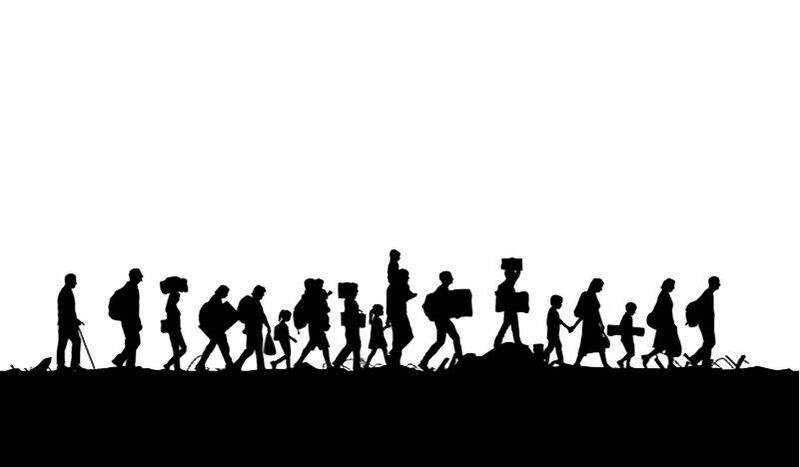 Refugees are leaving the following countries: Democratic Republic of Congo, Burundi, Mali, Afghanistan, South Sudan, Somalia, Ukraine, and Syria. Syria is the biggest source of refugees in the world with over 4 million people evading the conflict there. War-torn Afghanistan follows, 2.6 million Afghans were forced to abandoned their homes in 2015. The third biggest contributor of refugees come from Somalia where 1.1 million individuals have sought refuge in new countries. By the middle of 2015, South Sudan became the fourth biggest source of refugees with 744,100 South Sudanese leaving their home country. Turkey provided refuge to 1.8 million Syrians, almost half of those fleeing the country. This figure represents nearly 98% of their total refugee population. In addition, they accepted 20,600 Iraqi refugees in the first half of 2015. This fact makes Turkey the country to host the largest refugee population for that year. Approximately 1.5 million Afghans had gone to Pakistan by June 2015 making it the second biggest host of refugees. This number represents 100% of the refugee population there. Some Afghans already living in Pakistan returned to their homes at the same time. Lebanon accepted 1.2 million Syrians, becoming the 3rd biggest refugee host in the world. An additional 7,300 people from Iraq sought refuge there as well. Iran has provided shelter to 951,000 Afghans and 28,300 Iraqis. This country is the 4th largest refugee host. However, the refugee population in Iran did not change during the first six months of 2015 and has remained number 4 since the previous year. While war, violence, and human rights violations are the biggest driving forces behind the worldwide refugee crisis, there is another factor that contributes to the displacement of people. Global climate change is producing disastrous results. Water and food scarcity and increasing natural disasters are creating conflict among people as they fight over limited resources. Since 2008, approximately 22.5 million people have been forced from their homes due to climate and weather related events. These individuals often remain within their home countries and are not considered refugees in the traditional sense, but their situation is dire. As global climate change accelerates so too will the number of climate-affected refugees.